It’s a fact: people retain more when they are involved in the learning process. I love speaking to audiences and sharing my ideas and strategies to make their lives better, but sometimes it makes sense for groups to delve even deeper. My blended keynote is the best way to capitalize on learning for such groups, and my favorite way to bring the most value to my clients. Can Your Audience Benefit from Having More Than a Talking Head? I love being a motivational speaker and presenting audiences with ideas that I truly believe will improve their lives. 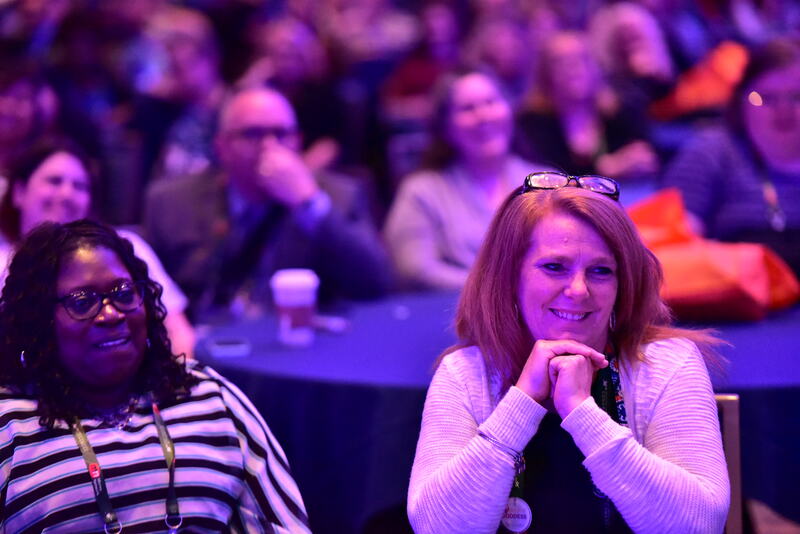 But if your audience is ready for the enhanced learning that comes with a program that explores my message in more depth, then the Blended Keynote is for you. In a typical keynote address, I talk and the audience listens. I get out my argument and present my ideas for improved happiness and well being in their lives. This is where I earn the trust of the group and establish my ideas as credible and life-enhancing. In what is often called a breakout session, I get the audience out of their chairs and interacting. Working from the rapport that was established in the keynote, this session is where I push the group out of their comfort zone and into achieving something cool as a group. Audiences are often afraid that these sessions will be a waste of their time, but I have their backs. In the end, there is laughter, high fives, and incredible team effort. In the third part of my expanded keynote, we get into facilitated conversations. It never fails—I find myself with a group of educated, experienced professionals who wonder, “why are we doing this, what is the point?”. The groups always manage to impress me and in the end they always find what THEY need to find. They take the people side of business and incorporate it into their own jobs, lives and teams. I wrap up the expanded keynote with a cool conclusion that will surprise everyone. Groups leave on a high note, armed with new strategies to make their lives better and feeling that their valuable time was well spent. My years as a motivational speaker have taught me this: the blended keynote is the best way for groups to take away to most. 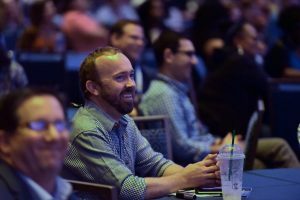 Are you ready to take advantage of the interactive learning experience that Brad offers in the Blended Keynote? 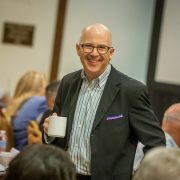 Visit BradMontgomery.com to find out how spending one on one time with Brad in a crazy and fun environment can enhance and energize your meeting. Brad Montgomery has been firing up audiences for more than 25 years with his unique style and genuine humor. He has spoken to groups large and small at organizations throughout the country, and loves connecting with people from a myriad of professions. 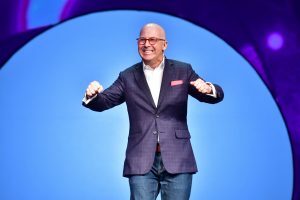 Visit www.BradMontgomery.com to learn more about Brad and to find out how a funny, business keynote can improve your bottom line.